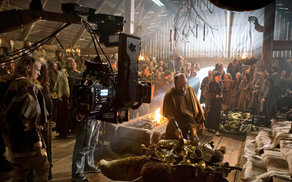 Screen Training Ireland is seeking applications from directors interested in a one-day shadow directing opportunity on the drama production ‘Vikings’. Four applicants will be chosen to participate. The dates of the shadowing are the 12th to the 15th of November inclusive and candidates will be assigned a day on one of these dates TBC. Please note candidates who do not meet the essential requirements will not be considered, and only successful candidates will be contacted. Candidates must be able to provide a link to an up-to-date showreel in their current director CV. Please apply online at www.screentrainingireland.ie by 12pm noon Thursday the 1st of November. Please ensure that you have a current CV including a link to a show reel.